10,000 years ago man painted a picture of a Sasquatch on the wall of a cave in China. This mysterious being has been in the beliefs of almost every society ever since. 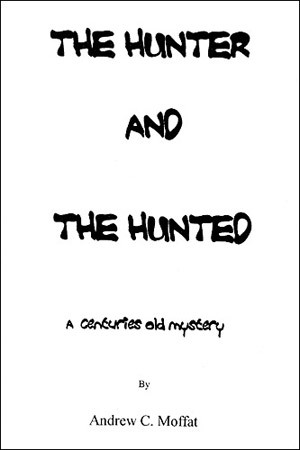 This fictional story is of a hunter who comes into contact with a Sasquatch; and is based on sightings and photos taken in the late 1990’s. Their close and emotional contact brings a feeling of reality to this mythical creature of the forest. One of the Police – a man with some forensic experience — was attracted by one oddity however. Clearly the grizzly had attacked the hunter, in the course of which the grizzly had been killed. The hunter, if killed, should also have had remains found on the site; if not killed, but only wounded, then there should have been signs of him crawling or dragging himself from the scene. While others searched afar, this man remained close to the scene, looking for minute details. In the brambles of the berry bushes he notes a discrepancy: the hairs that had been caught in the thorns looked like those that might have been caught from the bear passing through, and previous searchers had accepted them as such. This man, however, saw a difference — they were not the course hair of a bear, but much finer and of a slightly different colour. Reviews of this book will be posted here as they are available.